Dictation is the best way to get text into the computer. I use Dragon Dictate v6 on the Mac and I often use Siri on the iPhone or iPad. 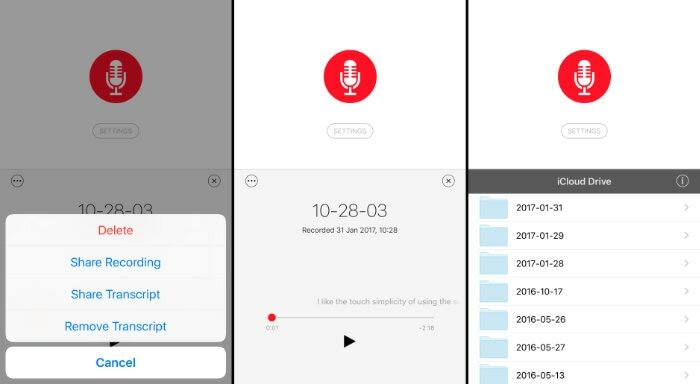 Just Press Record is an app for recording audio, but it will also transcribe the speech to text. It isn't the same as dictation. When working this way you can just talk to the audio software without needing to look at the screen. Only when you have got it all in there do you think about the turning it into editable text. You still have to dictate and say things like 'comma' and full stop to add the punctuation. If you don't it will come out as one big lump and you'll have to spend ages fixing it all. You will be editing the text before using it anyway nut you might as well make it easier on yourself. I had to go to the trouble of going to England to buy my Apple watch. I was happy to do that on account of going over there for a wedding at about the right time. The watch was delivered to my mother's house on day one of the watch being available. It was supposed to arrive there about one month later, but for some reason it got bumped up and arrived early. In any case I only had to wait one week after the arrival of the Good and Geeky Apple Watch before I could put it onto my wrist. I have been using it for two and a half weeks now and I am delighted. The Apple watch is an excellent product that works really well in conjunction with my iPhone. I love the Apple way of doing things. 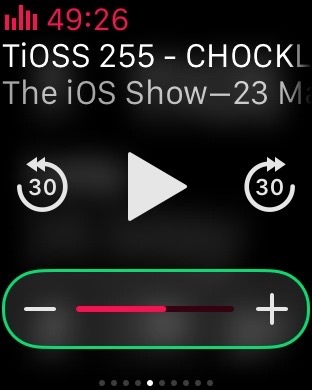 My main use for the watch is to control audio, listening to books and podcasts. 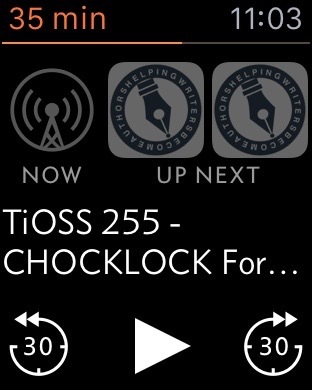 I also use the watch a lot for creating timers and alarms. It would have been nice if I could have used the watch for a silent alarm when I have to get up early in the morning. It was very handy to have a Fitbit do that for me and not to disturb my wife first thing. The Apple watch has to be on the bedside cabinet charging up overnight. With regards the battery, I always seem to have between 25 and 40% left at the end of the day. I don't worry about the battery at all. I am delighted with the fitness and health facilities given to me by the watch. 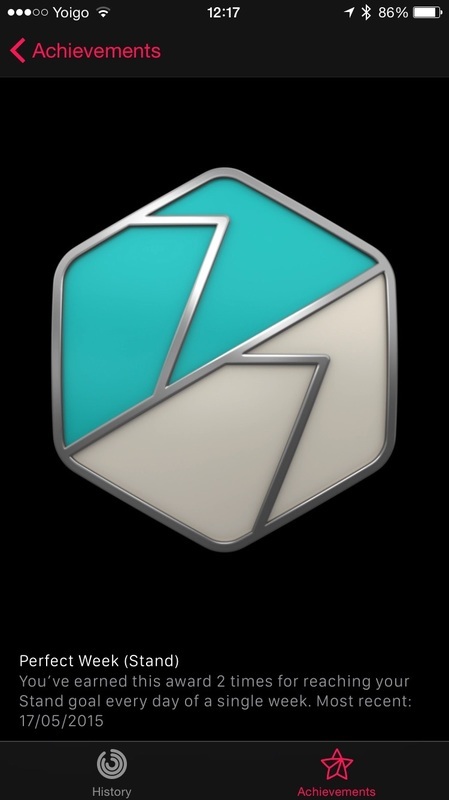 The activity application on the Apple watch is something I use all of the time. I am constantly checking to see how I'm doing with completing the circles for the amount of standing time for the day, the burning of calories and the 30 minutes of exercise. I started off with using 600 cal as my marker and at the end of the first week, the watch suggested I should bump that up to around 900. I decided that would be too much like hard work and I revised that down to 750. These numbers seem to work well for me now. It's really cool to have a product that will check my heart rate for me. 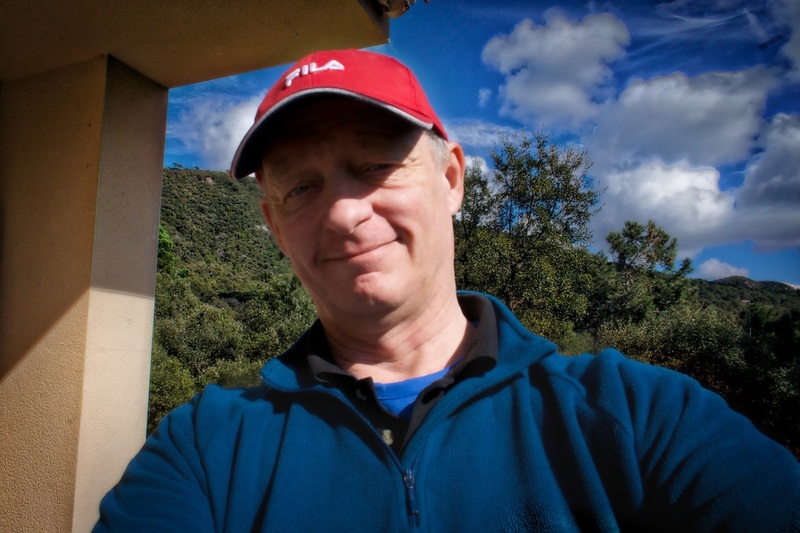 I have a slow heartbeat of around 45 to 50 bpm at rest and I see that when I am exercising by walking the dog it will go up to around about 125 bpm. This morning I used the exercise application to check on the exercise I do when walking the dog in the morning. I get the feedback about the workout in the health application on my iPhone. I can also check the heart rate data in the same application. I should use the exercise application more often, but so far I have been happy to use the Activity application for recording my health data. I was using an application called Map My Walk but occasionally it would cause my iPhone to crash. I am happy to use the Apple watch and iPhone to record the exercise, although I do miss having a map of my walk.